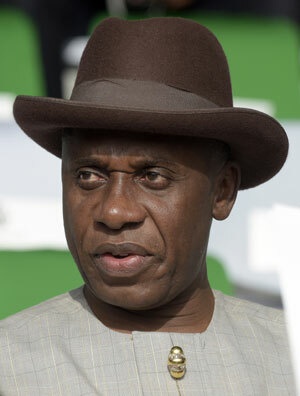 The Peoples Democratic Party, PDP, has called on the International Criminal Court, ICC, to list the Director General of the Buhari Campaign Organization and Minister of Transport, Rotimi Amaechi, for inciting violence with war songs at the All Progressives Congress, APC, Presidential Campaign rally in Port Harcourt, Rivers state on Tuesday and asked Nigerians to hold him responsible should there be any break down of law during the election. Disclosing this via his verified facebook handle, the National Publicity Secretary and Director, Media and Publicity, PDP Presidential Campaign Organization, Kola Ologbondiyan, the party condemned the alleged statement made by Amaechi. “The PDP notes that the threat of violence by Rotimi Amaechi which came few days after President Muhammadu Buhari called on his supporters to get ready to fight; as well as the threat by Governor Nasir el-Rufai of Kaduna state, who declared that members of the global democratic institutions working for peaceful elections will return to their countries in body bags, have all exposed APC’s plot against peaceful elections in Nigeria.